Expressing shock about a Rajasthan High Court judgment that had reduced sentence in a criminal case to period already undergone which was only six days, the Supreme Court had observed that imposing inadequate sentences will do more harm to the justice system and may lead to a state where the victim loses confidence in the judicial system and resorts to private vengeance. In the instant case, the Sessions Court convicted the accused for the offences punishable under Sections 325 and 323 IPC and imposed a sentence of three years’ rigorous imprisonment and fine of Rs 1,000. On appeal by the accused, the Rajasthan High Court confirmed the judgment of conviction but reduced the sentence to the period of imprisonment already undergone by the accused, i.e., six days’ imprisonment only. The state had assailed the judgment before the apex court. 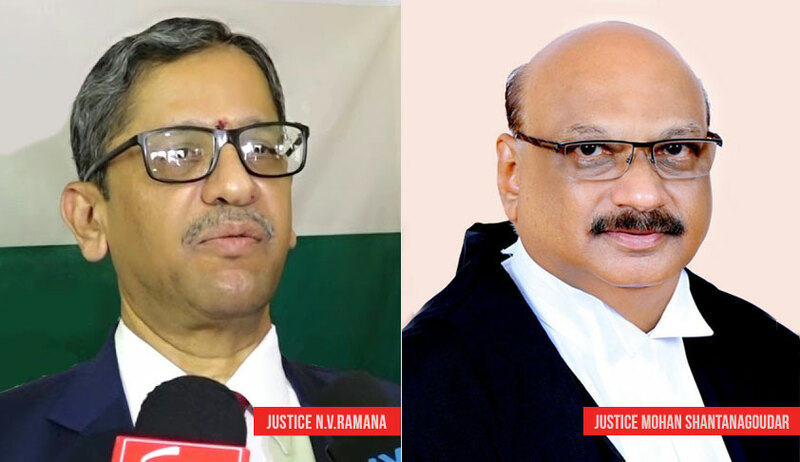 A bench of Justice NV Ramana and Justice Mohan M Shantanagoudar observed that the high court simply brushed aside medical reports which stated that the injuries were grievous and life threatening, sentenced the accused to the period already undergone by him. “Absolutely no reasons, much less valid reasons, are assigned by the High Court to impose the meagre sentence of 6 days. Such imposition of sentence by the High Court shocks the judicial conscience of this Court,” the bench remarked. Even though, the bench was told that the parties had forgotten their differences and were living peacefully since 25 years, the bench sentenced the accused to six months’ rigorous imprisonment and a fine of Rs 25,000. “In the matter at hand, it is proved that the victim has sustained a grievous injury on a vital portion of the body, i.e., the head, which was fractured. The doctor has opined that the injury was life threatening. Hence, in our considered opinion, the High Court was too lenient in imposing the sentence of six days only which was the period already undergone by the accused in confinement,” the bench added.